Kim Soo Hyun & Yeo Jin Goo Cry Side by Side – Who’s Better? 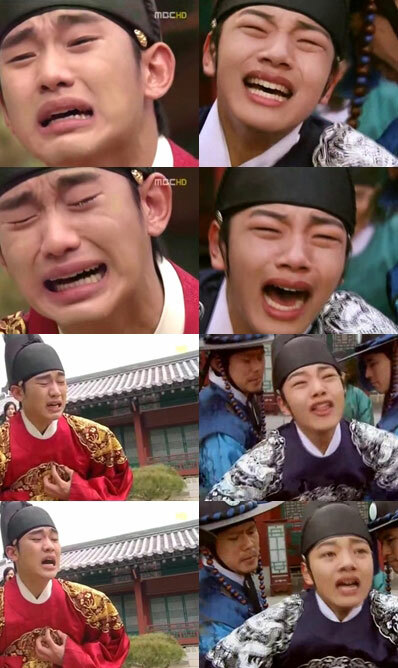 Netizens have published a great comparative screenshots of the cry scene by Kim Soo Hyun and young actor Yeo Jin Goo. 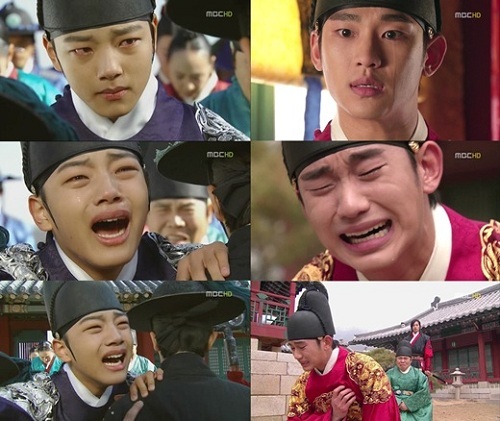 In the episode 16 of The Moon Embracing the Sun broadcast on February 23rd, 2012, there is a scene when the King Lee Hwon (Kim Soo Hyun) kneels on the ground with hand over his chest while crying. He could not believe that Yeon Woo is Wol, and wails while shouts the name of Yeon Woo. His heart is painful when he recalls the sufferings they suffered in the past, andhis excellent acting has earned the empathy of audience. While Yeo Jin Goo who plays the role of Lee Hwon at his childhood period also acted perfectly. When he was a child, Lee Hwon looks at the Yeon Woo who is about to leave the place, and is also crying loudly, doesn’t want her to leave. The crying scene has left a deep impression. On the other hand, the rating of episode 16 has hit 41.3% on national basis, and the real time ratings also hit the high 46.6% during the scene of Kim Soo Hyun’s wonderful performance in crying.